Push the limits, living on the edge. The human nature always fighting to breaking their boundaries. The time is here when true conquerors will bring this feeling to the real world. The official countdown has begun in 2001. Thanks to their experience and contribution to improve our products to the highest level. Our goal is to develop products which are reliable, and makes the racer satisfied. They will be confident and feel safety and comfort. They will feel the MUGENRACE spirit, they are searching for adventures. Feel the infinity! Whose are the ambassadors of MUGENRACE? MUGENRACE is proud to support those riders who can transmit their personality into the firm’s philosophy. Their commitment can be the goal for all those riders who want to use and wear our products. The spirit of racing is the same as freedom... lifestyle. But these kind of style has it’s own artists... gladiators and ballerinas. Known and respected fighters of the motorsports with their persistence and commitment they embody the beauty and wild. They’re not afraid of fire, they will make you have fun and they can be wizards. 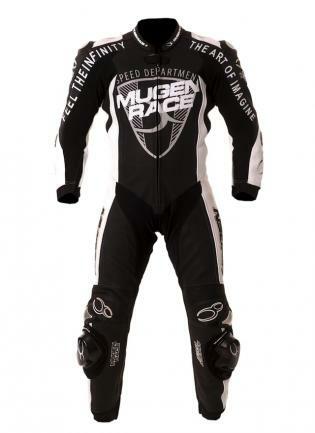 With their personality they’re worthy to be endorsed by MUGENRACE and we are proud to support them.